Remember 1985? Ronald Reagan was sworn in for his second term as president. Marty McFly became the first human to travel back in time. And the United States had a day to remember at the World Cross Country Championships. On a late-March day in Lisbon, the US women, led by Cathy Branta‘s runner-up finish, won their third straight team title. Meanwhile, a men’s squad that included Bruce Bickford, Pat Porter, Ed Eyestone, and Craig Virgin scored 153 points (back when six men scored) to finish third. Thirty-four years later, that remains the last time that both the US men’s and women’s teams medalled at World XC in the same year. Of course, things were a lot different in 1985, when only one member of this year’s US World XC squad was alive (Stephanie Bruce had just turned one year old). Yes, Twitter, Instagram, and Facebook were still decades away, but we’re talking about running and the biggest difference was it was a lot easier for the US to medal back then — particularly on the women’s side, as the continent of Africa entered a grand total of zero athletes in the women’s race — which helps explain the Americans’ success. In many ways, 1985 marked a turning point at World XC. Though East African women wouldn’t begin to dominate the event until the 1990s, 1985 was the last year that a non-African-born man (Carlos Lopes of Portugal) won the individual title. The following year, John Ngugi became the first Kenyan man to individual title. The Kenyan men’s team also won its first gold medal in 1986 — and would proceed to win a total of 18 in a row until Ethiopia finally unseated them in 2004. The fact that Kenyan-born runners have proven to be exceptional at cross country over the last 30+ years may actually help the US men this year as five of the six men on the squad, which is led by Shadrack Kipchirchir and his American Distance Project teammates, were born in Kenya. 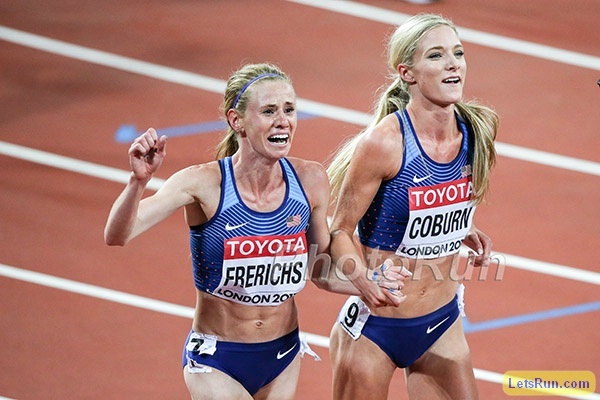 For the women, the Bowerman Track Club stars Courtney Frerichs, Marielle Hall, and Karissa Schweizer lead the way. On Saturday, in Aarhus, Denmark, the current crop of Americans will be looking to turn back the clock and put the US men’s and women’s squads back on the podium together for the first time since 1985. It’s a tall order –the two teams have combined for just three medals across the past 11 editions of the championships — but there’s enough talent on hand that the Americans can dare to dream. How realistic are their chances? We break it all down below. 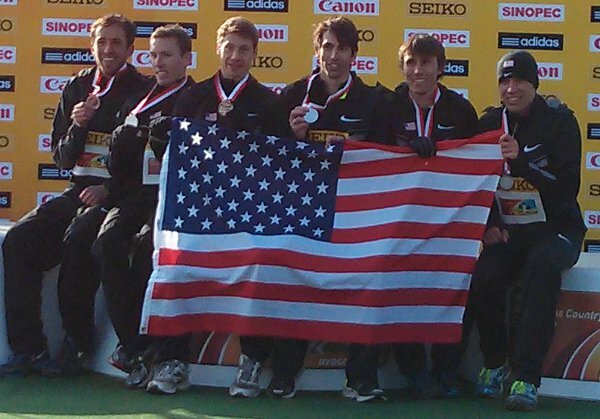 Six years ago, the US men earned a surprise silver medal at World XC in Bydgoszcz, Poland. It was the American men’s first medal since 2001, and a result that has allowed subsequent US teams to dream of standing on the podium. But there’s a reason we called it the “Miracle on Dirt.” It was a major upset. That US squad included a scoring four of Ben True, Chris Derrick, Ryan Vail, and Bobby Mack. If those four can earn silver at World XC, the thinking goes, shouldn’t a stronger squad should be able to medal as well? But the World Cross Country Championships don’t work that way. 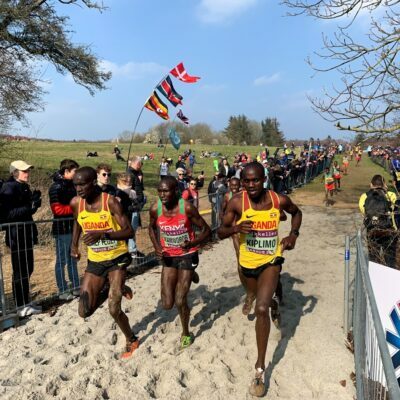 The Americans medalled in 2013 largely because they handled the mud and the hills better than the competitors from Kenya (3rd) and Eritrea (4th). The 2017 US squad was better on paper than the 2013 edition, but they finished just 5th in the team standings in the heat of Uganda. Conditions matter. Still, if you’re an American, there are a couple of reasons to be optimistic about the 2019 US squad. The first is this: the US finished just six points off the podium in 2017, and Aarhus will be a lot cooler than Kampala, which should help. Second, this US squad is even better than the one it sent in 2017. 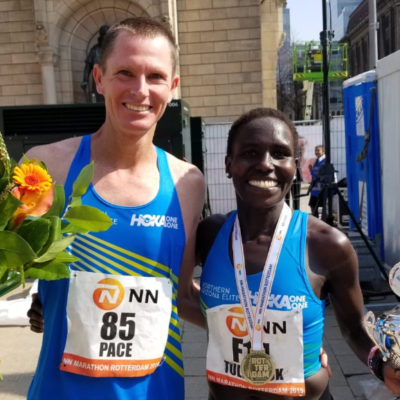 Yes, top finisher Sam Chelanga retired, but Shadrack Kipchirchir and Stanley Kebenei have both made major improvements on the track — their coach Scott Simmons says 27:07 10k man Kipchirchir is in “the best shape of his life” — and the US adds in the Bor brothers, Hillary (8:11 steeple, 13:14 5k) and Emmanuel (USA XC runner-up, 13:10 5k). It’s definitely a squad that could contend for a medal. But here’s the problem. To earn a medal, the US will have to beat either Kenya, Ethiopia, or Uganda. And all three of those squads are loaded. Kenya has the two-time defending champ in Geoffrey Kamworor and a guy who ran 26:46 on the roads last year in Rhonex Kipruto. Their team is so strong that Paul Tanui — a four-time global medalist in the 10k — couldn’t even make it; he was only 8th at the Kenyan Trials. Ethiopia has won the last three team titles and is led by the fourth-fastest 5k man ever, Selemon Barega (12:43 pb). 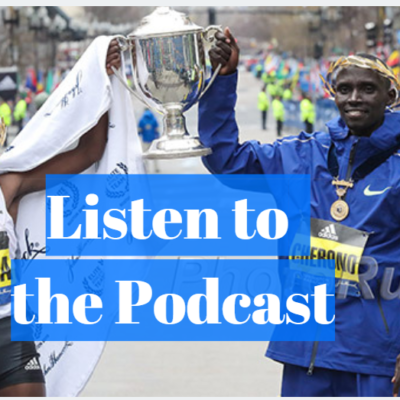 Andamlak Belihu is basically as good as Kipchirchir on the track (he was one spot and one second behind him at Worlds in the 10k in 2017) and better on the roads (59:18 half marathon last year). Bonsa Dida was 10th at World XC in 2017. And none of those guys won the Ethiopian trials — that honor went to Mogos Tuemay. Tuemay doesn’t have any major results on his Tilastopaja profile (we do know he was 4th in the 3k at the World Youth Champs in 2013, running 8:03, before running 13:27 and 27:48 in 2017), but if you can beat those guys at the trials, you’re pretty darn good. Uganda has two of the best runners in the entire field in 2017 world 10k silver medalist Joshua Cheptegei and 2017 World junior XC champ Jacob Kiplimo. 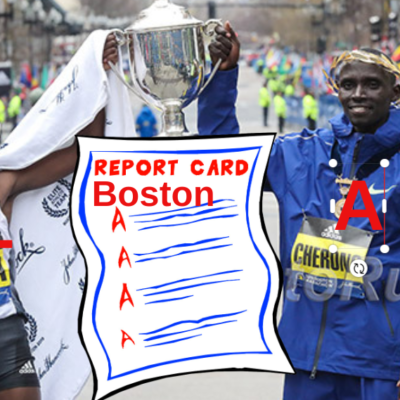 And while they only finished six points ahead of the US in 2017, that’s a little misleading as Cheptegei was leading the race with half a mile to go before his body shut down and he faded to 30th. If he had only blown up a little and finished 5th, Uganda would have scored 48, the US would have scored 82, and it wouldn’t have been close. 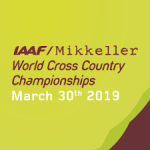 Ever since 1998 (except for 2007), only four guys score at World XC (before that it was six; it also was six in 2007 after the IAAF got rid of the short course race), which means it’s crucial to have a stud or two up front. No men’s team has medalled without a top-10 finisher when only four have scored since 2001 (ironically, the US, led by Bob Kennedy in 12th, were the ones to do it). Kipchirchir could do it this year, but given the studs he’s up against — outlined here — the best he could realistically hope for is 6th. And if Kamworor, Kipruto, Cheptegei, and Kiplimo all finish in the top 5, as we expect, that will put the US at a major disadvantage. Even if we give Kipchirchir 6th place, he’d be scoring more points by himself than Kamworor/Kipruto and Cheptegei/Kiplimo, meaning the US’s #2/#3/#4 would have to whip Kenya/Uganda’s #3/#4. We don’t see that happening. The US’s best chance may be to topple Ethiopia. Barega is the only total stud on their roster, and while they’re a deep team, they could be beaten if Barega slips up. It would still take a monster effort from the US, but it could happen. Could the course/conditions help the US? If the US isn’t quite equipped to earn a medal on paper, one thing that might be able to close the gap is the conditions. They were certainly an equalizer in 2013. But that may not be the case again in 2019. The course, with its constant climbing and descending and unique features, is challenging, sure, but that doesn’t necessarily give the US an edge. The Americans are tough, but so are the East Africans. Simmons is more optimistic that the weather could help his guys, who have spent the winter preparing in Colorado Springs. But right now, there’s no rain in the forecast this week, and race-day conditions look to be pretty ideal for distance running: partly cloudy and a high of 55 degrees for a race that will take place at 2 p.m. local time. If this were a marathon, we’d say it’s perfect weather for running fast. If the US men are going to medal, they most likely are going to have to outrace the competition, plain and simple. Counting on a repeat of 2007, when Ethiopia failed to record a team score due to a slew of DNFs, isn’t a good plan. Two years ago in Kampala, Team USA came in with big dreams, with US champ Leonard Korir going so far as to say the Americans were shooting for their first-ever men’s senior team gold at World XC. The Americans did indeed run aggressively — through 2k, Kebenei was 4th and Korir was 6th — but they paid for their early exuberance as both men would fade, to 26th and 20th. Indeed, the US’s top finisher, Sam Chelanga, was only their fourth man (26th) at 2k but worked his way up to 11th by the finish. It was a learning experience; none of the group had run the senior race at World XC before. This time, they’ll know what to expect. Simmons says that the plan is for his guys to run as a group. And while he believes it’s important to get out hard, he doesn’t want them leading the thing; somewhere in the top 20 is fine. If the US packs up and runs smart, maybe they can benefit if some of the runners from Ethiopia or Kenya do what the US did in 2017 and go out too hard. The lone US team member not originally from Kenya is former Michigan runner Mason Ferlic, the 2016 NCAA steeplechase champ, who was 7th at USAs in 28:32 — 11 seconds behind 2:12 marathoner Scott Fauble, who declined the spot as he’s racing the Boston Marathon in two weeks. Interesting fact: Ferlic could have run World XC in 2017 but turned down his spot on the team and Fauble went instead, finishing 36th. This year, Fauble turned down his spot and Ferlic snatched it up, realizing that after struggling with two different Achilles injuries — one at the start of track in 2017 and one at the start of track in 2018 — you never know what the future holds. “[I’ve learned] you become irrelevant so quickly in the sport. If you’re not winning and making headlines, people forget,” said Ferlic, who twice finished top 25 at NCAA XC during his career (best finish was 13th), to Flotrack after USA XC. So what about the American women? Well if everyone who ran USA XC was showing up for World XC, we’d be very optimistic about their medal chances. The US could have had a roster of Shelby Houlihan, Molly Huddle, Aliphine Tuliamuk, and Amy Cragg. Instead, all of those women passed on World XC. The group that’s going is talented, but clearly not the strongest possible squad. Can they still medal? Well they’re not beating Kenya. 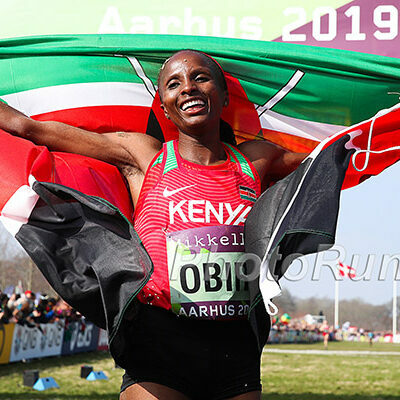 Kenya perfect-scored the world last time out in Kampala, going 1-2-3-4-5-6, and while only one of those women (14:36 runner Lilian Rengeruk) returns in 2019, they’ve subbed in 5k world champ Hellen Obiri and steeplechase world record holder Beatrice Chepkoech. The US simply can’t compete with that sort of firepower. The Ethiopians also look untouchable. Letesenbet Gidey (14:23 5k) is a two-time World junior XC champ. Tsehay Gemechu has run 30:15 on the roads for 10k and 66:50 in the half. Trials champ Dera Dida has run 14:42/30:56/68:06/2:21. The US would need all its big guns running to eve dream of beating a team like that and even then it would be extremely unlikely. There’s a reason Kenya and Ethiopia have gone 1-2 (in some order) at each of the last 13 World XC champs. But there is hope for third: in the past five championships, the bronze has gone to the US (twice), Bahrain (twice), and Uganda. Bahrain took bronze in Kampala (Uganda was 4th, the US 5th), but Bahrain is sending a weaker team in 2019 and the US is sending a stronger one. Ruth Jebet, Bahrain’s top woman in 2017 (7th) got caught doping. Had she been removed from the results in 2017, Bahrain would have fallen to 5th as their #5 finished 67th. Bahrain’s #2 (Rose Chelimo, 9th), #3 (Eunice Chumba, 11th), and #4 (Desi Mokonin, 31st) runners return from 2017, and they’ve got some reinforcements in Winfred Yavi (9:10 steeple last year) and Shitaye Eshete (68:25 half last year). 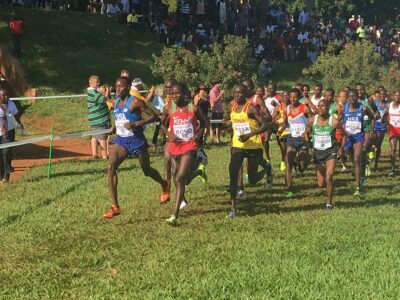 Uganda likewise has talent in Stella Chesang (18th in ’17), Peruth Chemutai (9:07 steeple), Juliet Chekwel (31:37 10k), and Rachael Chebet (17th in ’17). Neither of those squads look unbeatable, but the US will still be underdogs in the medal hunt. Remember, the medal-winning US squads of 2010 and 2011 both had two of the greatest American runners of all time in Shalane Flanagan and Molly Huddle. With all due respect to Marielle Hall and Courtney Frerichs, they’re not at that level. Hall is an Olympian at 10,000 meters but not in Flanagan and Huddle’s class. Frerichs is the American record holder and a World Championship medalist in the steeple, but there’s a big difference between a steeple and a 10k cross country race. Hall had the best race of the Americans at USA XC, finishing 3rd in 32:57. Frerichs was 6th in 33:25, Karissa Schweizer was 7th in 33:29, and Stephanie Bruce was 8th in 33:30. We have a ton of respect for the 35-year-old Bruce, but the fact that Frerichs and Schweizer were so close to her at USAs doesn’t exactly inspire optimism for World XC. 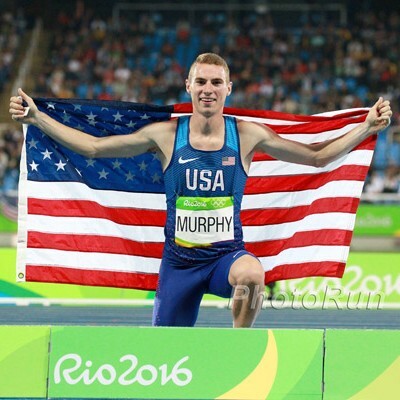 Bruce ran marathons in November and December, and ran 15:44 on the track the week before USA XC. Yet she was just five seconds behind Frerichs and one second behind Schweizer? You’d expect Frerichs and Schweizer, both of whom were younger and fresher, to finish farther ahead. That said, Bruce was 22nd at World XC in 2017, and doesn’t appear to be slowing down as she’s run PRs in the 5k, 10k, and marathon since then. And in Kampala, she was the US’s #2 finisher; this time, she could be their #4. The average 3rd-place team score over the last 10 years is 78.7. If Bruce can slot in around 20th again and Hall, Schweizer, and Frerichs can all finish ahead of her, as they did at USA XC, that could be enough to get a medal as long as Bahrain or Uganda don’t go super low (Bahrain scored 59 in 2017). The other good news is that the Bowerman Babes are fit right now. They ran a 5k time trial at Boston University on February 24, with Hall running 15:07 (one second off her PR), Schweizer 15:11 (nine seconds off her PR), and Frerichs 15:12 (PR by 19 seconds). 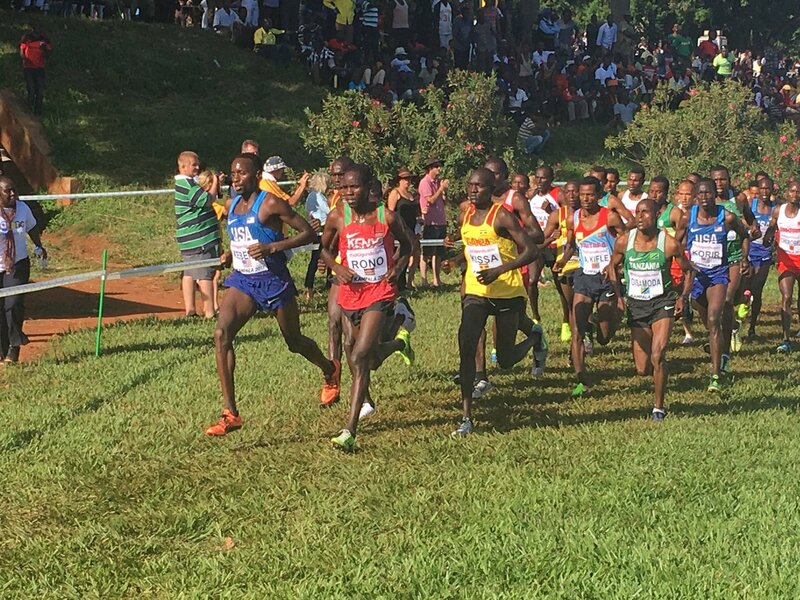 The question is whether they can translate that fitness to a tough, hilly 10k at World XC — a race none of them have run before. We haven’t mentioned the final two members of the US squad. The Hansons-Brooks’ Anne-Marie Blaney, 25, ran collegiately at Central Florida and ran a 32:31 10,000 pb in February in a race where Bruce ran 32:15 and the other member of Team USA, Sarah Pagano, ran 32:38. Pagano, 27, who runs for the BAA, has a 31:56 pb. The bad news for both of them is neither of them was ever an All-American in cross country while in college. Which US team will medal at 2019 World XC? Editor’s note: Morocco’s men did win a team silver in 2007 without a top 10 finisher (they won silver with a staggering 152 points with a top finisher of 14th), but each country was allowed to enter nine athletes that year and six scored, so it was harder to get top 10. It also ended up being easier to get a men’s team medal as Ethiopia only had five finishers so they didn’t record a team score.